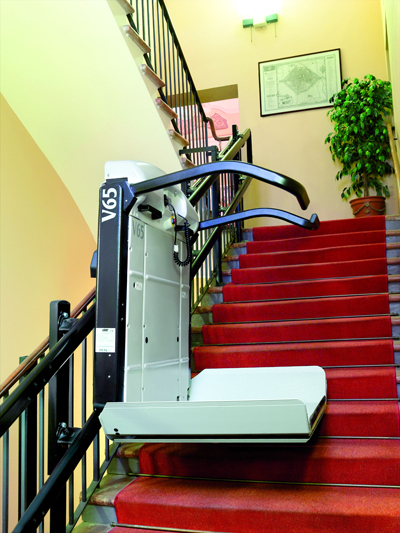 Ideal for curved stairs, Premier Lifts’ IPL100C Inclined Platform Stairlift is safe and very simple to operate. 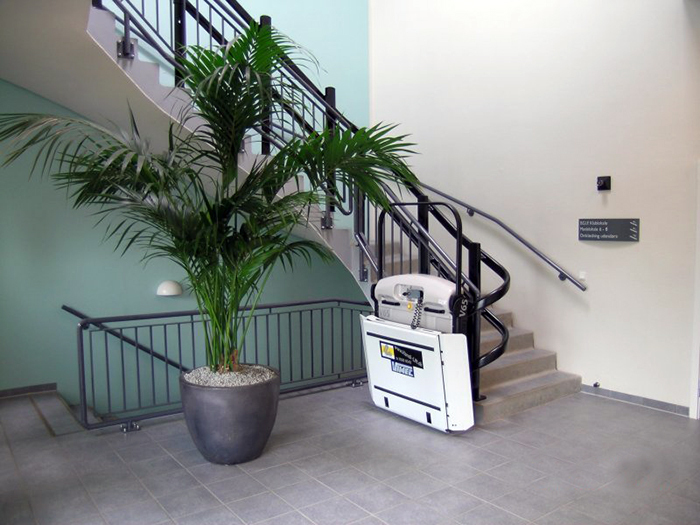 Ideally suited to most external or internal environments and with fully automatic barrier arms and a platform that folds to a low profile when not in use, the IPL100C wheelchair platform lift allows other stair users to pass with ease. 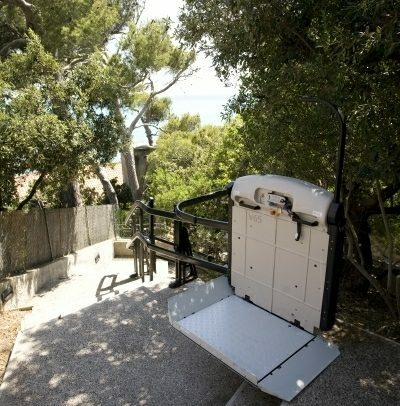 Our stylish range of platform stairlifts enable a wheelchair user to traverse a straight or curved flight of stairs. 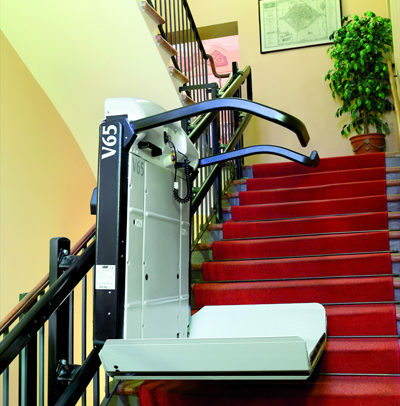 The IPL100C for straight stairs is fully automatic with electronically controlled platforms and barrier arms which neatly fold away against a smooth operating rail when not in use, leaving the maximum width of the stairway for pedestrians. It creates an ideal solution for low rise applications and we install a range of configurations to suit all budgets and requirements. 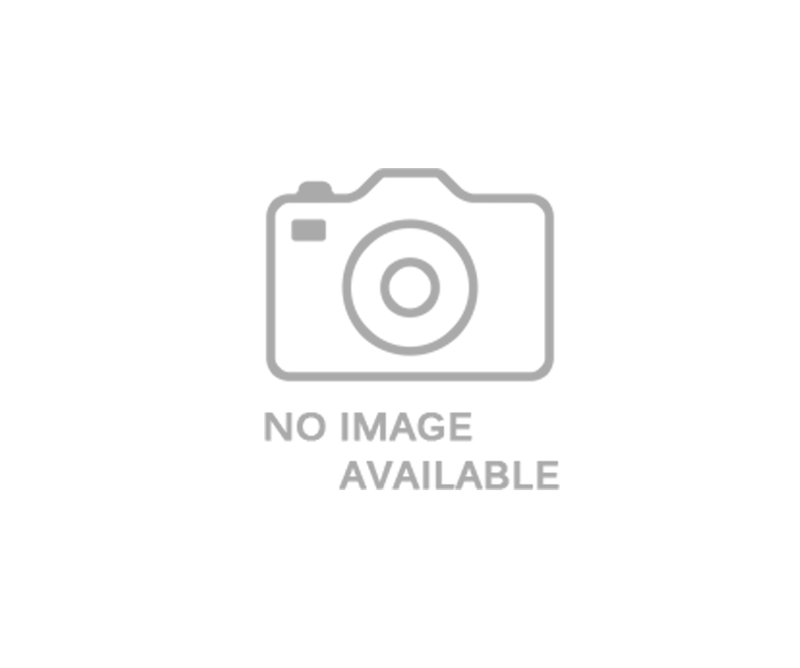 Low profile class leading designs ensure a practical and unobtrusive system. 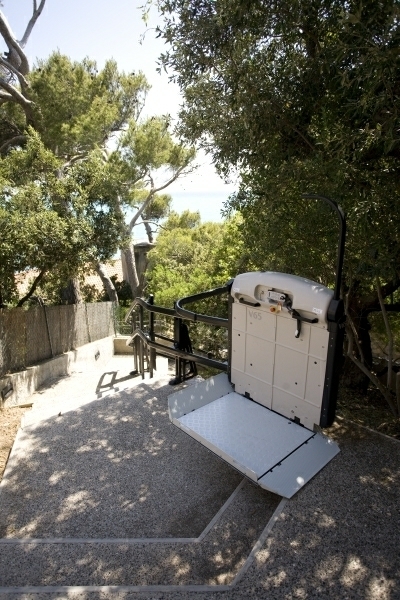 With a range of platform sizes from Part M compliant to ultra compacts we can supply the ideal solution for your needs. 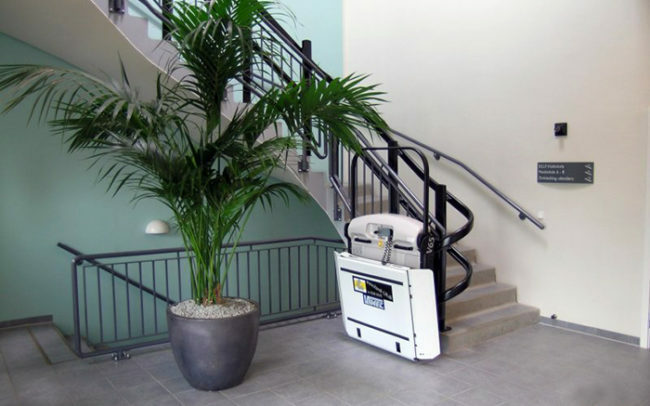 The IPL100C platform stairlifts can be either floor or wall mounted and installed within two days by our fully trained installation engineers. 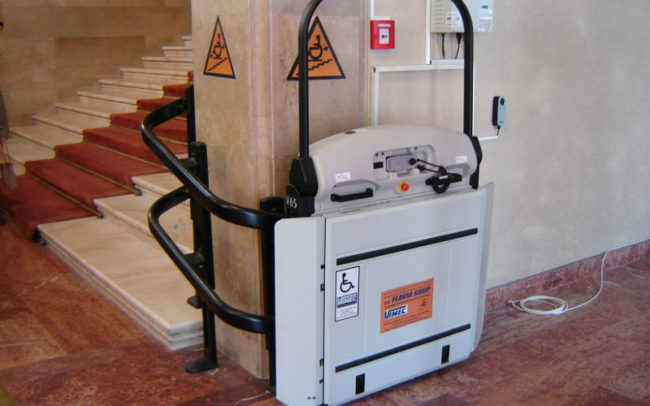 The only requirement is a dedicated single phase power supply adjacent to the lift. 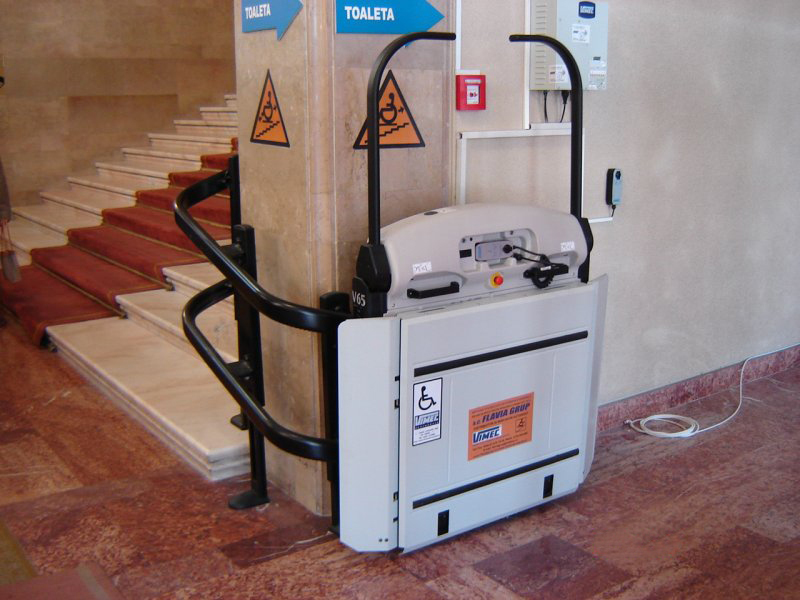 All extreme edges of the platform have pressure sensors which immediately stop the lift if touched.